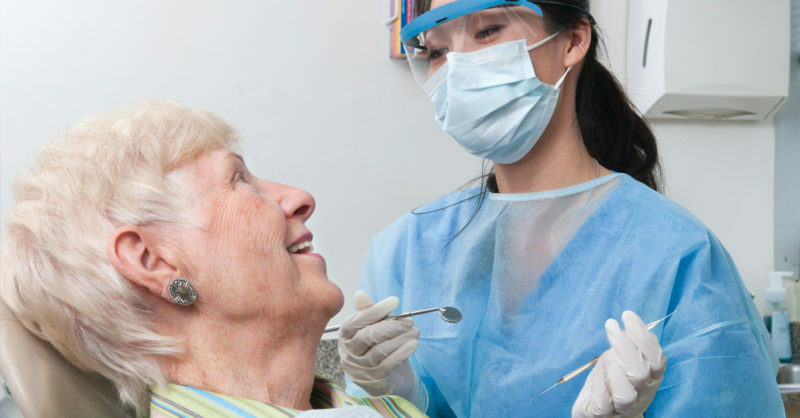 How often should Senior Citizens Seek Dental Care? It is very important for each of us to take care of our teeth on a regular basis. Aside from regular tooth brushing and flossing, we all need to see our dentists regularly. Just as we have to brush our teeth on a daily basis, we also have to see our dentist year after year. This especially true as we get older. With the help of the different advancements in oral care, more and more people are able to keep their teeth longer. And because senior citizens are not exempted from getting cavities or gum disease, they too will have to observe the proper oral hygiene practices on a regular basis. How often senior citizens have to seek dental care all depends on the condition of their teeth and gums. This is why senior citizens must be fully aware of the signs and symptoms of different oral problems. They should try to check their teeth for problems such as pain and sensitivity. They should also try to see if their gums are receding if their gums are swollen, or if they see any signs of the early onset of periodontal disease. Receding gums can also put senior citizens at risk for root cavities. This oral problem is very difficult to treat, this is why senior citizens must try to avoid it at all costs. If you are wearing dentures, you will still have to go and see your dentist. This is because your dentist will have to check whether they still fit properly inside your mouth. If necessary, the dentist can make adjustments so that you can regain the proper use of your dentures. The dentist will also have to check your dental fillings since they are typically known to be hot spots for bacteria and decay. The dentist will also check if any of your teeth are loose, if you have dry mouth problems, or if you need to wear braces. Yes, senior citizens can still wear braces if they want to since there is no age limit when it comes to fixing the position and alignment of your teeth. Aside from assessing the condition of your teeth and gums, the dentist will also try to check your mouth and throat area for any sign of cancer. The dentist will try to see if you have sores, discolorations or swelling. Senior citizens must see their dentists for routine checkups and clean. Dental checkups are meant for prevention, this is why you should never wait for something to go wrong before seeing your dentist. Keep in mind that the proper oral hygiene habits can help you keep your teeth for a lifetime.